As we know, to show an error message using plugin, we have to use InvalidPluginExecutionException. However, when we use InvalidPluginExecutionException it rollbacks any additional code executed on ‘Pre-operation’ and ‘Post-operation’ irrespective of it being ‘Synchronous’ or ‘Asynchronous’. The need over here was not just to throw an error and notify the user but also send an email/log an error in the background. Throwing an exception in the plugin registered on “Pre-Operation” or “Post-Operation” would also prevent the additional logging of the error message that was required. We found an alternate way to achieve this by registering plugin on “Pre-Validation” operation. Pre-validation operation allows processing the actions written, before throwing invalid plugin exception. Conclusion: Code in ‘Pre-validation’ is executed outside the transaction and therefore any updates made to the database in this stage persists and can therefore be used for error logging mechanism that needs to be implemented. 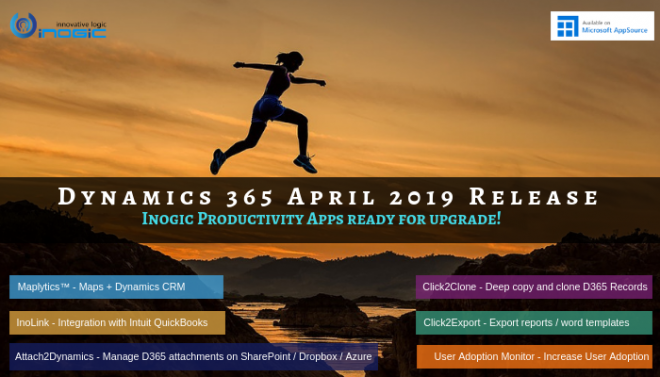 QuickBooks Integration with Dynamics 365/CRM – Get the Best of Both Worlds with InoLink! How can i stop the record creation from the pre-validate plugin without throwing the Invalid plugin execution Exception ? We are not sure about your requirement, but currently, there is no such a way to stop creating record using plugin without throwing exception.